You are here: Home / Uncategorized / Positive vs. Negative Emotions: What really works in Content Marketing? How important are emotions in marketing? 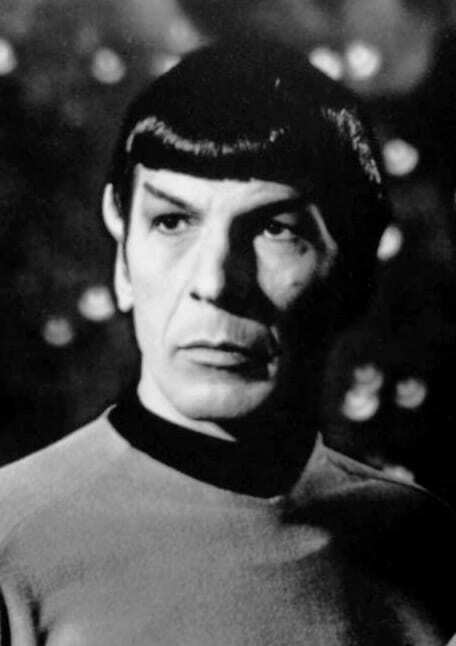 Unless your prospect is a Vulcan, a marketing campaign without emotions will be as appealing as pancakes without maple syrup. We might wish to believe that we are logical creatures who take decisions based on reason, however, any psychologist (marketer) will tell us a different story. How do emotions make a difference? “People will forget what you said, people will forget what you did, but people will never forget how you made them feel.” – Maya Angelou, Pulitzer Prize winning author. People thrive on emotions. Content that move us makes us act. In case of content marketing, one of the most sought after actions is the social share. One of the most quoted research papers about virality is based on a study by Jonah Berger and Katherine Milkman from the Wharton School of Business. The research paper, called “What Makes Online Content Viral?” analysed almost 7000 New York Times articles. The authors concluded that content that evoke emotional responses like delight, astonishment, excitement, awe and anger, are far more likely to go viral, than content that elicit slighter or no emotional responses. For people to repeatedly visit your content and share it, they have to become your fans. But before they become your fans, they have to remember you. The simplest way to stay etched in people’s memories is to make them feel emotions. Molecular biologist John Medina, wrote about the role of emotion on the human brain, in his book Brain Rules. Chip and Dan Heath, in their book, Made to Stick: Why Some Ideas Survive and Others Die describes one of Chip’s experiments with his students at Stanford. Each student was asked to deliver a one-minute persuasive speech on the same topic. The students had to rate each other on the effectiveness of their presentations as well as write down everyone’s key points. The findings revealed that 63% of the class remembered details from the speeches that used personal stories to illustrate their viewpoint. However only 5% remembered the statistics that were shared. Antonio Damasio, a professor of neuroscience at the University of Southern California, mentions in his book Descartes Error, that nearly all the decisions that we take are influenced by emotion. Damasio conducted a series of experiments on people whose connections between the rational (the pre-frontal cortex) and the emotional (the limbic lobe) centres of the brain were damaged. The subjects could rationally process information about the alternate choices. However, since the rational centre could not communicate with the emotional centre, the subjects could not take a decision to choose between the alternatives. Separate studies conducted using fMRI neuro-imagery show that while, evaluating brands, consumers’ use their emotional centres (involving feelings and past experiences) far more than rely on facts like brand attributes and features. Another study reveals that the emotional response to an advertisement has three times more influence over the purchase decision rather than the ad’s content for TV ads and twice for print ads. Do Emotions matter in B2B? Remember a few websites of B2B businesses around a decade back? How many do you actually remember? Probably very few. The reason isn’t hard to guess. B2B websites used to be full of lingo like “effective”, “innovative”, “leading”, “cutting edge” and other terms which said a lot and said nothing at the same time. The usual corporate jargon has been replaced by “see how jive brings the human touch into the brand”. Notice how the corporate image has been replaced by a more human touch? Can emotions in B2B actually matter more? Yes, says the results of a study by customer experience firm Beyond Philosophy which was conducted over 6 years involving 30,000 data points. 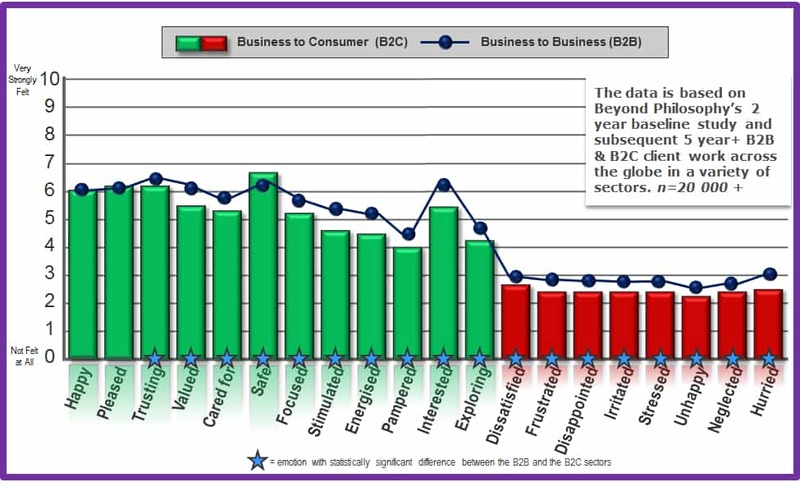 In the graph below, the bars represent how people in the capacity of individual customers feel about their experience with businesses. The dots represent how customers feel in the capacity of acting as businesspeople. 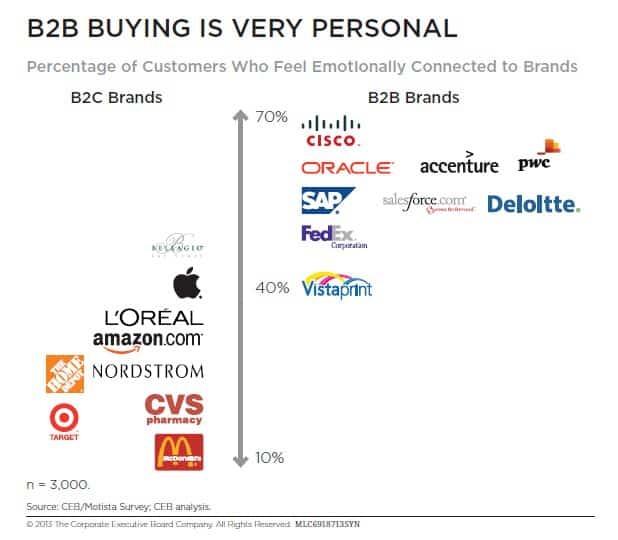 For all emotions except one, the intensity of emotions felt in a B2B experience was actually higher than in a B2C experience! A study by the Corporate Executive Board agrees with the above data. It concludes that a greater percentage of customers feel connected to B2B brands than B2C brands. Contrary to common perception, emotions happen to be more important in B2B marketing. Companies need to shed empty jargon from their content marketing and replace it with words and images that truly resonate with prospects. Which works better… Positive or Negative Emotions? Jonah Berger’s research also indicates that “positive content is more viral than negative content”. Fractl, a digital marketing agency, conducted a study by surveying over 800 people between the ages of 18-54. The researchers at Fractl chose 50 of the top 100 images over a three month period from Imgur.com, as voted on Reddit. Next, they asked each respondent to go through these images and note which emotions each image made them feel. The researchers discovered that certain emotions were being felt very often in highly viral content, while others were seldom felt. The researchers also say that virality was still possible when negative emotions also evoked anticipation and surprise, but what’s clearly evident is that positive emotions will win most of the time. Are images enough to draw a conclusion in the positive vs. negative debate? Probably no, which is why here’s another study conducted by Buzzsumo where they analyzed the top 10,000 most shared articles across the web. Each post was mapped to an emotion – joy, sadness, anger, amusement, laughter, and so on. 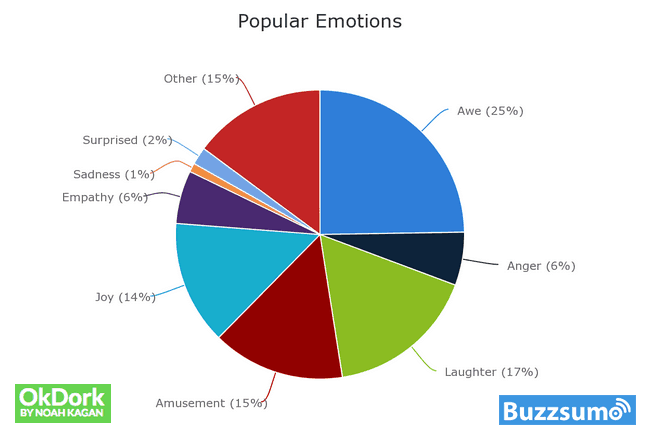 The percentages of the most common emotion were calculated. While laughter (17%), amusement (15%) and joy are in line with what we have discovered so far you might be wondering about where the ‘awe’ fits in, given it’s first place of 25%. Is ‘awe’ positive or negative? The Online Cambridge Dictionary defines ‘awe’ a feeling of great respect sometimes mixed with fear or surprise. “I’ve always held musicians in awe. Since the emphasis of this emotion is on respect and surprise and not on fear, I believe it’s safe to conclude that ‘awe’ is a positive emotion. You might be wondering… getting shares is great, but does that really prove that positive emotions are more effective? To answer the question about whether positive or negative emotions works better, we need to look at content marketing in it’s entirety. We need to look at the inbound funnel. Other actions which are similar to or is a combination of the above. However, the objective of content marketing is to ‘drive profitable customer action’, that is, to get people to buy. Anyone who progresses through the inbound funnel might be motivated by a negative consequence, but the person will buy only when he feels positive vibes about the seller. In order to make a purchase, or even use the free version of a product there needs to be an element of trust. I need to believe that the offering will solve my problem. While purchasing an antivirus, or insurance the motivation does stem from a negative emotion of fear. However, to make the purchase, the prospect must believe that the offering will solve their problem or protect them. Therefore in all cases, positive emotions are essential to convert a prospect into a customer. These research studies are convincing, but isn’t there’s a simpler answer to the question ‘positive vs. negative’. Piques your curiosity, doesn’t it? The above is actually a headline from a post on Copyblogger by blogging guru Jon Morrow. Why do you feel drawn to the headline? The words, ‘dying, mothers and fighting’ have touched you and you want to know what the author has to say. Jon’s post got 840 tweets, 3.6K Facebook likes and 211 LinkedIn shares and was clearly an ‘epic post’. But this was nowhere close to Jon’s most popular post. That’s what Jon’s most popular post on Problogger was called. The post spread like wildfire attracting over 70,000 visits in the first 24 hours. It has been tweeted 2,993 times and has over 9,600 Facebook likes. This post also attracted over 9,000 subscribers to Jon’s guest blogging course and made him a ton of money. While both CopyBlogger and ProBlogger posts by Jon have content that resonates with the customer through emotions, the difference between the one that converted to huge sales and the other that led to shares alone was positive emotions. While the post on dying and mothers made people cry and was also inspirational to a certain extent, the one on quitting your job and moving to paradise inspired people to take control of their lives. It made you want to take action. Action that included signing up for Jon’s course. That is the power of content charged with positive emotions. That’s it. We can now officially crown positive emotions as the winner in content marketing success! How do we create Positive Emotions? How about having a look at what a few brands are doing? GE excels at content that makes us say, “I didn’t know that”! 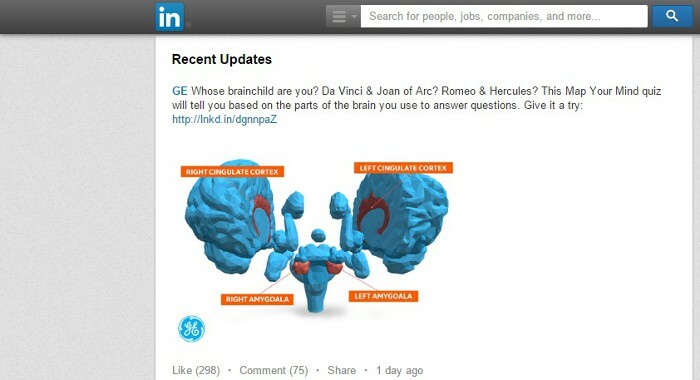 The company’s LinkedIn page has informative posts as well as interesting quizzes that get lots of comments and shares. The company has been around for more than a century and makes excellent use of it’s heritage in it’s content marketing. Recent posts like “Forget the Garage, GE Research Was Born in a Barn” uses the art of storytelling about the history of GE’s global research headquarters near Schenectady, New York. Notice Albert Einstein in the photo? 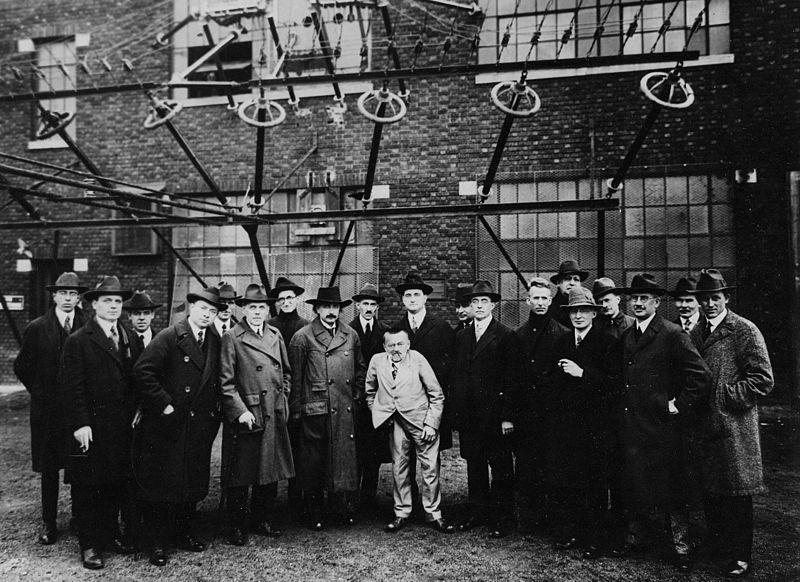 Photos of visitors to the facility like Harry Houdini, Amelia Earheart, FD Roosevelt and other eminent personalities through the years make you truly admire GE for it’s innovation through the ages. “I got my first exposure to real tough leather at a Mexican bullfight… and I was the one fighting the bull.” says Saddleback’s ‘The Story’ page. Saddleback, a maker of leather bags and accessories, takes the concept of storytelling in content marketing to new heights. The company is like a mini Discovery Channel with it’s videos from Jamaica, Scotland, Mexico and even Africa. 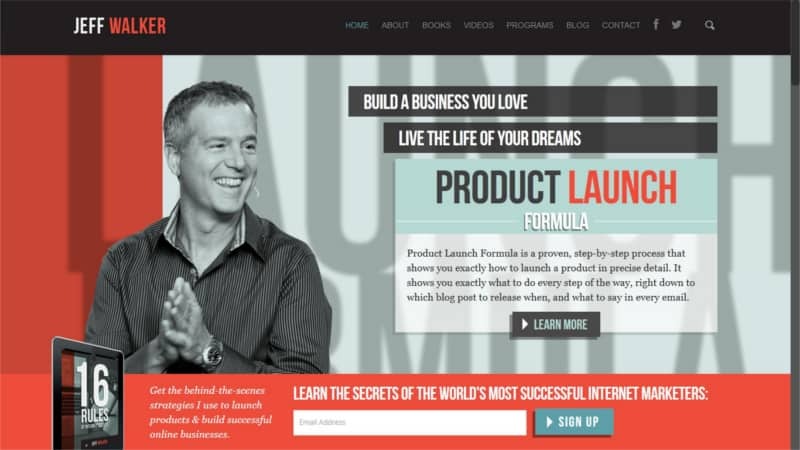 Jeff Walker, developer of the insanely successful product launch formula teaches entrepreneurs to sell a wide variety of products and services on the internet with just a handful of resources. In all his videos, Jeff talks about “Building a business you love and living the life of your dreams”. It’s difficult not to be inspired by the story of a man who became a millionaire by selling products with just a computer while sitting at his kitchen table. All his video pages have a comments section. That does a great job of getting viewers engaged in a conversation and creating a buzz about his upcoming launches. Which marketer doesn’t love HubSpot! ‘Lovable’ is the exact word that a lot of people use to describe it. HubSpot amazes it’s fans with the sheer variety of content that they produce about internet marketing as well as sales. One of the most uncommon ways in which they rope you into their marketing funnel is by offering nearly 300 stock photos for free. Most of these photos feature HubSpot employees and paint a friendly and refreshingly honest picture about the company. How many brands do you remember solely because of a single video that you saw? How many startup videos do you know that got 17 million views? We all loved the dollar shave club video with it’s cheeky humor and it’s engaging ‘sense of motion’! Whether you shaved or not, it was one of those videos that you had to talk about and share. What is it that enchanted people most? Mike, the founder, appears in the video himself, and ‘thumbs his nose’ at established pricey brands. The video incites a sense of rebellion, a feeling that new things are possible, and appeals to the average Joe. Making a good business video is complicated, isn’t it? You would probably have to hire someone to do it or buy (and learn) to use expensive equipment. That’s what most of us would think, until they visit the Wistia learning centre. They have an outstanding collection of short videos that clearly show you that you don’t need to burn a hole in your pocket to make compelling videos. “Hey, I can do that!” is the usual reaction. 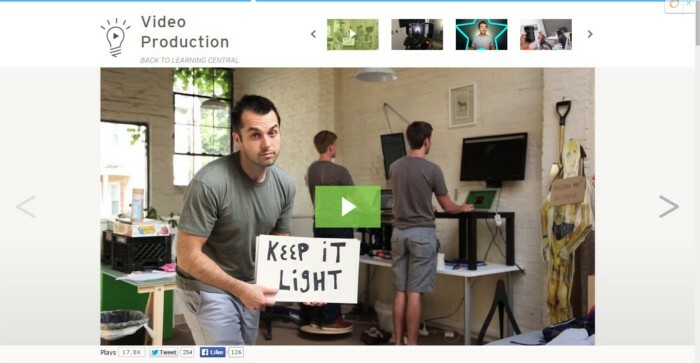 Parts of Wistia’s learning videos are (intentionally) unedited. Bloopers are a great way to show off their honest and human image. Content marketing is all about the prospect. Great content not only educates your prospects, but makes them your fans. For them to become your fans you might make them experience a wide range of emotions: humour, curiosity, fear, awe. But to become your customers, you need to ensure that they experience positive emotions about you, your offering and your brand. 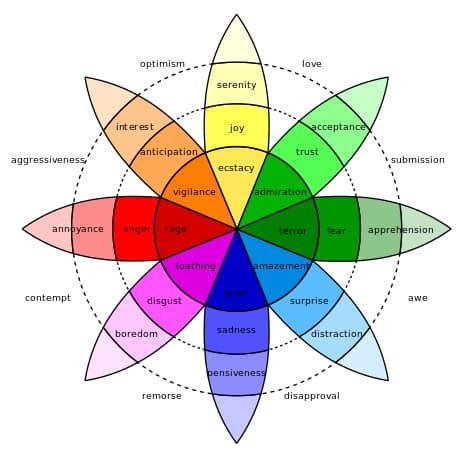 What emotions are you using to turn your visitors into customers? Tell me in the comments section below.